"In a push-button world, live theater communicates in a real way, a humanly connected way. It's a great escape for people, and it keeps your spirit alive. I love the variety and the challenge of the creative process and the interaction between the work, all of the people involved, and the audience." "My current work in musical theatre and decades of experience inform what I teach today's students. When I watched more than 100 people each day audition for From Here to Eternity in New York City, I took notes to share those observations at Nazareth. I love that I never stop learning, because this business is ever-changing. It was once pianos and big orchestras, but now the trends include synthesizers and body mics. Triple threat is a real term today. Dance is so important. Wide vocal ranges and all styles of singing are necessary." Musical director for Sir Tim Rice's From Here to Eternity, which premieres in the United States in summer 2016. Rice is an award-winning lyricist known for his work with Andrew Lloyd Webber on Jesus Christ Superstar and on Disney films beginning with The Lion King. Composer/lyricist/musical director of Treasure Island, The Musical — a new interpretation of Stevenson's classic tale, debuting at Finger Lakes Musical Theatre Festival in 2016. Composer/lyricist/musical director of the original musical The Littlest Witch, licensed by Steel Spring Theatricals and performed at the National Museum of Play in Rochester and the Broad Hollow Theatre Company on Long Island, N.Y.
Arranger/musical director for the long-running off-Broadway show, Menopause the Musical, and for Rodgers and Hammerstein's Sophisticated Ladies for Inside Broadway theatre company in New York City. New York and tour credits include: playing in the Broadway pit of Boy From Oz; Annie; Five Guys Named Moe; and The Great American Trailer Park Musical. Regional theaters include Arkansas Repertory Theater, Syracuse Stage, Geva Theater, and Florida Studio Theater. Regional productions include Hairspray, The Drowsy Chaperone, The Full Monty, 42nd Street, Five Guys Named Moe, Smokey Joe's Cafe, Spelling Bee, Cabaret, Chicago, Miss Saigon, Thoroughly Modern Millie, Evita, La Cage, My Fair Lady, The King and I, The Sound of Music, Nunsense, Oliver, Tintypes, Brigadoon, Kiss Me Kate, Anything Goes, Dames at Sea, Rent, and Daddy Long Legs. Member of the Dramatist's Guild; ASCAP; the American Society of Composers, Authors, and Publishers; and the American Federation of Musicians Local 802. "You should have a job before you graduate. My colleagues and I can take you to the door. You have to walk through it. We're always looking to connect students with professionals and opportunities, through internships, our partnership with Finger Lakes Musical Theatre Festival, and senior showcases here and in New York City. Nazareth hosts events that allow musical theatre professionals to try their works with our students — such as a two-week workshop preparing for the regional premiere of Jane Austen's Pride and Prejudice and a Los Angeles team coming to workshop a new musical called Dance on Me. They get to know our talented students, and it leads to work contracts. I am always thrilled to connect today's students with major industry people." Individual coaching for Senior Showcase, auditions, and off- campus professional work. As with sports, train young. Take dance lessons and voice lessons from credible teachers. You may be born with a beautiful voice, but you need to hone it and you need to train your whole body. Take lessons on a musical instrument such as guitar or piano. If you want it, you will seek out the info you need. Be a go-getter. Research musicals to see what's right for you. Rejection is part of the business. Don't let it break your spirit. You may not be right for that part, or your abilities may need work. Cultivate an attitude of knowing there's always someone more talented than you. Look for what you can do to improve. Be gracious. If you burn a bridge, you're never going to cross it again. Singing and dancing are rigorous. Learn other facets of the industry, such as technical, administrative, and marketing roles, so you always have options. Get a job with a producer. Work in a dance studio. You'll learn so much from the hands-on experience. In college, take courses or complete a minor in other areas that interest you, such as writing, recording, graphic design, marketing, or music/business. "There's a world here at Nazareth that might not be in a conservatory. There's a freedom to cross the lines here." Aquilina works on arranging a new song for Treasure Island. Her first musical theatre experience was in ninth grade, when she was the assistant to the teacher who was the musical director for Oklahoma. 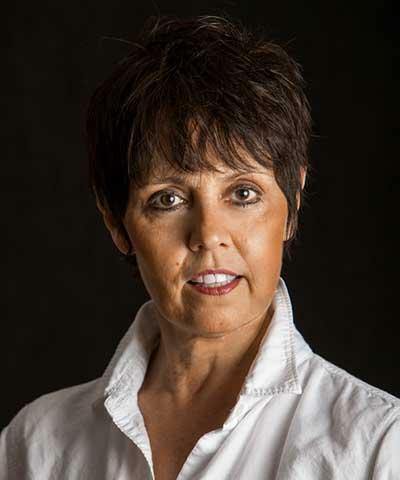 "​Corinne Aquilina is a wonderful professor to learn from because she is still an active and working professional in the world of theatre and musical theatre — providing her with the ability to teach her students with the most up-to-date knowledge in this field. I would describe her as a driven, genuinely caring, versed, and exceptional educator. Nazareth College and the Theatre and Dance Department are very lucky to have such high-profile faculty as Corinne." “She pushes our students to the limit and helps them realize their potential," says Yanting Zhao, chair of the Theatre and Dance Department, in a Democrat and Chronicle profile about Aquilina. Masterful: "Corinne has been masterful at eliciting a sense of adventure, a sense of grandeur, a sense of the sea, a sense of poignancy between mother and son," says writer Carla Vitale about Treasure Island, for which Aquilina wrote the music and lyrics. Modernizing a classic: The stock market's crash in 2008 showed that greed and piracy takes many forms. In writing about the 2016 musical, The Post-Standard in Syracuse quotes Aquilina: "Stevenson wrote a coming-of-age story that has endured through two centuries because, although times and situations change, people do not change."